Matt Smith enjoys crafting wines that are complex with the highest quality structure and finish. 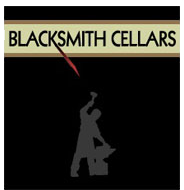 As founder of Blacksmith Cellars, I am the visionary for my wines and the winemaker. Since I’m all about blending science and art, it’s easy for me to make it happen. The Filling Station hosts a vintage, gas station inspired tasting room providing locals and visitors with a friendly, hometown venue to sip artisan wine and craft beer made in our valley and beyond. Welcome to our family owned and operated winery and vineyard. Although we are 4th generation grape growers, our story is only just beginning. We are honored to welcome you to our family and are confident that you will enjoy the wine that we pour our heart into. 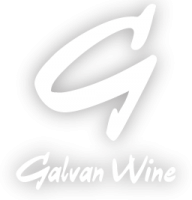 Created in 2003 by owners Salvador and Claudia Galvan, Galvan Family Cellars has opened in our new location conveniently located near the 680, the 80 and the 12, in Fairfield. We look forward to sharing our new wine releases at our 32 foot custom crafted tasting bar located inside our working winery, and to hosting fabulous wine-focused events throughout the year, including our original Locals’ Nights. Linda and Steve Tenbrink moved to Suisun Valley as newlyweds to live and work in a rustic setting for the rest of their lives. We’ve farmed in Suisun Valley for most of our lives, we came here in 1982 with absolutely no experience in farming, but we had a dream. In the heart of Solano County’s Green Valley, is Rock Creek Vineyard. Owners Tom and Carolyn West encourage you to come visit, taste their wines, and learn what drew them to this beautifully rustic winegrape growing area. We invite you to come and sample our award-winning wines in our tasting room overlooking our vineyard. The tasting room is open 7 days a week, from 11:00 a.m. to 5:00 p.m. We also have our many wine-focused events for the year posted on our website. We look forward to sharing our wines with you! The Mangels and Oberti families have been farming in Suisun Valley for over 100 years. 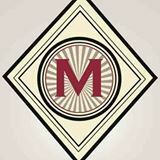 Gary and Katy Mangels formed a partnership with George Richmond and Gina Oberti Richmond to produce wine under the Mangels Vineyards label. They make a good team, from growing the grapes to making the wine.